Labinsky Financial is very pleased to welcome Debbie Sassen to its ranks. Debbie is a financial planner and money coach, currently completing her counselor’s certification with the Financial Recovery SM Institute. As a former Wall Street investment banker, with 30 years of experience, Debbie uses her broad background to move her clients beyond money stress and anxiety to a healthy and confident relationship with their wealth – without the financial mumbo jumbo. Picture this: you sit down with your spouse to discuss the family finances. Maybe you want to paint the house, send your kids to music lessons, go away for the weekend or talk about retirement. What feeling does this raise for you? Dread? Anxiety? Boredom? 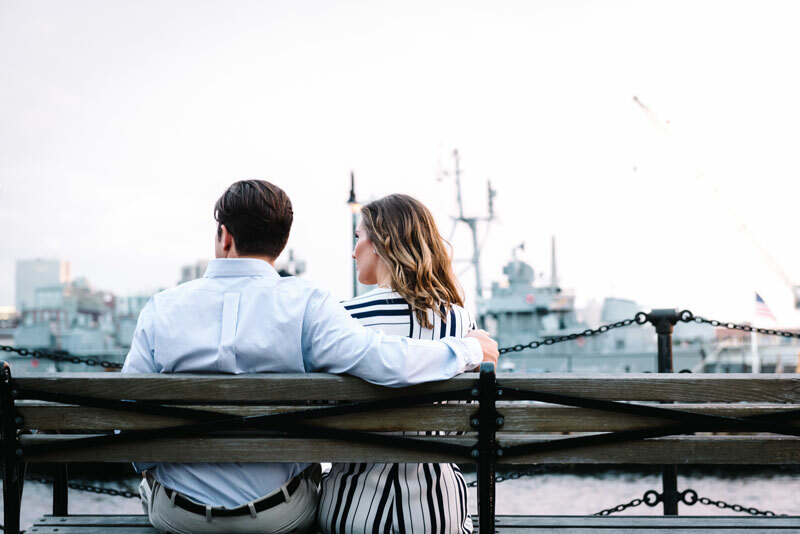 Since very few couples enjoy “the talk,” it’s not surprising that money stress is the leading cause of marital strife and divorce. But that’s no reason to avoid the issue, hide purchases from your spouse, sink helplessly deeper into the Valley of Debt or leave lots of cash in your bank account in lieu of responsible planning for the future. As a Financial Planner and Money Coach, my job is not just to give money advice but to guide my clients through the process in a calm, loving and even fun way. Yes, it is possible! Here are some tips to transform the way that you and your spouse work together to improve your finances. Keep Your Money Dates Short: You don’t have to confront your whole financial mess in one marathon session. In fact, if you’re just getting started, longer money dates are more likely than not to end in a puddle of tears or frustration. Set your kitchen smartphone timer for 15 minutes. Look over one bank statement or a pension report together. Then do it again tomorrow. Talk About Your Dreams for the Future: Want to travel the world? Save the world? Give your children the world? Uncork a bottle of wine and allow yourselves to freely fantasize about exactly how you’d like to live out your future. When was the last time you did that? Talking about your dreams has a way of putting your mutual financial priorities in perspective in a gentle, uplifting way. Explore Your Money History: Both you and your spouse absorbed deep messages about money from your family. Talk about the differences. For example, two families may both have avoided buying treats when out. One did it with the message: “We can’t afford anything.” The other one did it with the message: “We spend our money on meaningful things.” These messages will often express themselves in adult money behavior. Just listen. Accept Your Different Styles: According to Money Coach and Psychotherapist Olivia Mellan, most couples polarize around money. And “if opposites don’t attract right off the bat,” says Mellan, “then they will create each other eventually.” One spouse will be more of a spender, the other a saver. One partner will love taking risk and the other partner will avoid it like the plague. One side will manage money based strictly on the numbers in a spreadsheet, while the other will rely on their gut and inner instincts. None of these approaches is “the correct answer.” They all have their strengths and can be effective. Acknowledge and accept your partner’s different money style. Work together to build a mature, united plan for the family finances. Understand Pacing: Some people like to move fast, radically reinventing their money management within a week. Others need time to adjust to the idea and make gradual changes in their habits. Most likely, you and your spouse will move at different paces. Understand that both fast and slow have their advantages and can be accommodated with loving kindness. Notice Your Money Reactions: The knot in your stomach. The tightness in your shoulders. The pain in your neck. Take note of these reactions when you look at your bank statement or talk about how you’re going to meet next month’s mortgage payment. Then take a deep breath and relax. You may have real money issues but being uptight increases the tension in your discussions, without bringing you closer to a solution. Make it Fun: Conscious money management is a gift you give yourself and your family – so enjoy it. Put on some music, break out the ice cream or gluten-free cookies, get comfortable on the sofa. Get ready for an adventure. If these ideas seem totally different to your current money discussions – or even a little crazy – I’m thrilled. A new approach is needed to lower the anxiety around money while still nurturing that most important relationship with your honey. Using a few of these ideas can transform your money discussions from a source of tension to an opportunity to come closer together. Richer lives, richer relationships, richness in general. Does that sound good? So give it a try! And let me know how it goes. Next ArticleHow much are you really paying for your life insurance?